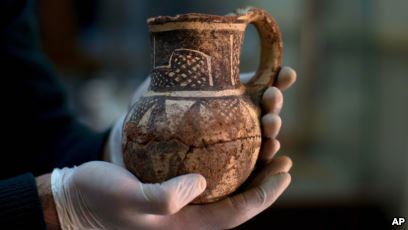 Syria has ratified the 1995 UNIDROIT Convention on Stolen or Illegally Exported Cultural Objects. 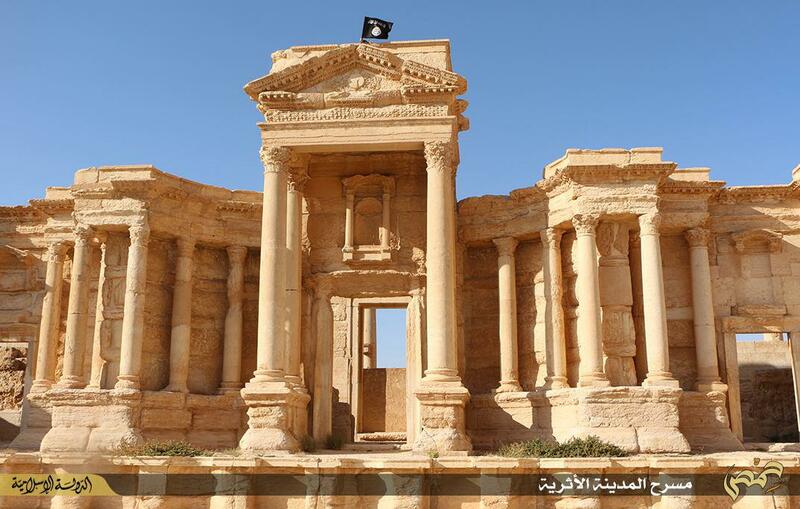 To address the ongoing issue of illicit trafficking of Syrian cultural property, the country has now ratified the UNIDROIT Convention on Stolen or Illegally Exported Cultural Objects. Adopted on 24 June 1995, representatives of over seventy states met in Rome with an ambitious goal aimed at harmonizing the rules of private law of various states parties affecting the restitution and return of cultural objects between states party to the Convention to their country of origin. The aim of UNIDROIT (is clearly stated in Paragraph 4 of its preamble. That that is: to contribute effectively to the fight against the illicit trade in cultural objects by establishing common, minimal legal rules for the restitution and return of cultural objects between contracting states with the objective of improving the preservation and protection of cultural heritage. At present, including Syria, there are now forty-three states party signatories to the Convention. With Syria's deposit of the instrument of accession to the UNIDROIT Convention of 1995 at the Italian Ministero degli Affari Esteri e della Cooperazione Internazionale (Ministry of Foreign Affairs and International Cooperation) on 27 April 2018, the UNIDROIT Convention will enter into force for the Syrian Arab Republic on 1 October 2018. The full text of the Convention is available here. 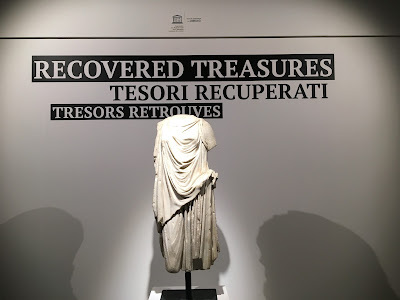 "The UNIDROIT Convention underpins the provisions of the 1970 UNESCO Convention, supplementing them by formulating minimal legal rules on the restitution and return of cultural objects. It guarantees the rules of private international law and international procedure which make it possible to apply the principles set down in the UNESCO Convention. The two Conventions are at once compatible and complementary." 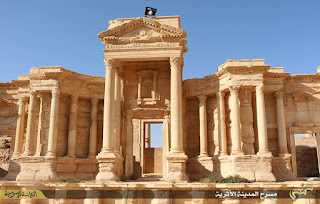 For years, many middle eastern countries failed to consider ratification of UNIDROIT working under the false assumption that the initiative for the Convention on the protection of cultural property was a manoeuvre by “art importing” countries to weaken the UNESCO Convention. Others (wrongly) misinterpreted the nature of the agreement as an extension of the UNESCO Convention at the behest of the “exporting” States. The reality is quite different as Marina Schneider, Senior Legal Officer and Treaty Depositary explains. 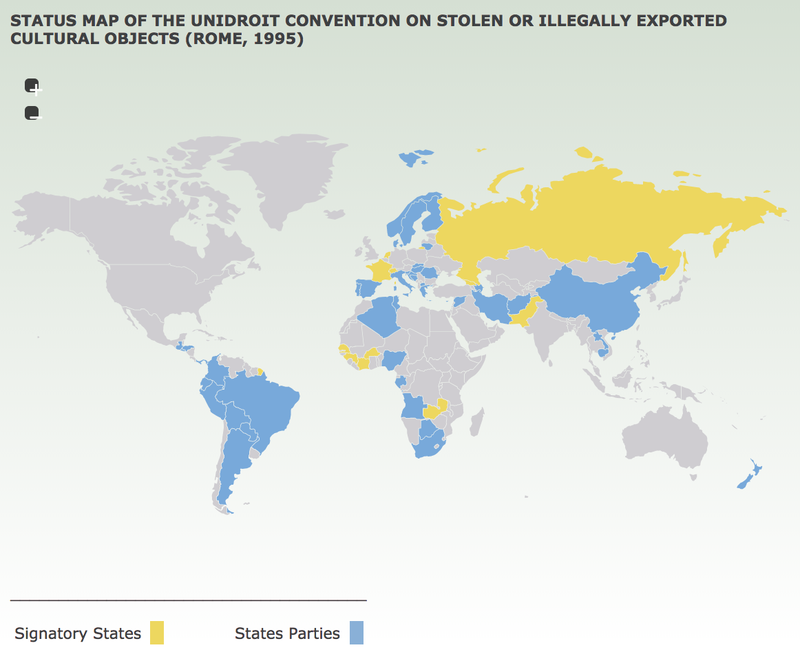 In trainings conducted throughout the globe, Ms. Schneider explains that it was at UNESCO’s request that UNIDROIT (International Institute for the Unification of Private Law) took up the matter of illicit traffic in cultural movables given the enormous complexity of legislation as it relates to the phenomenon of illicit trafficking. 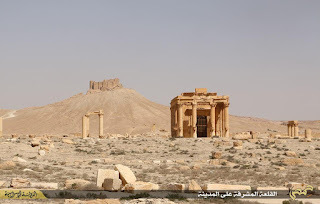 The ratification of the UNIDROIT convention will allow Syria to fight more effectively, together with other signatory States, against theft, import, export and illegal transfer of ownership of its cultural patrimony. 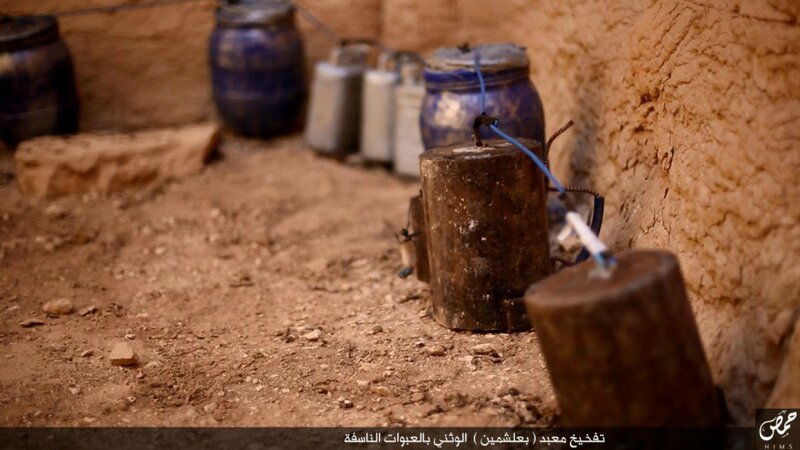 Let's hope Iraq will sign on next. Issued by the United States Department of State on 10/12/2017 09:10 AM EDT. 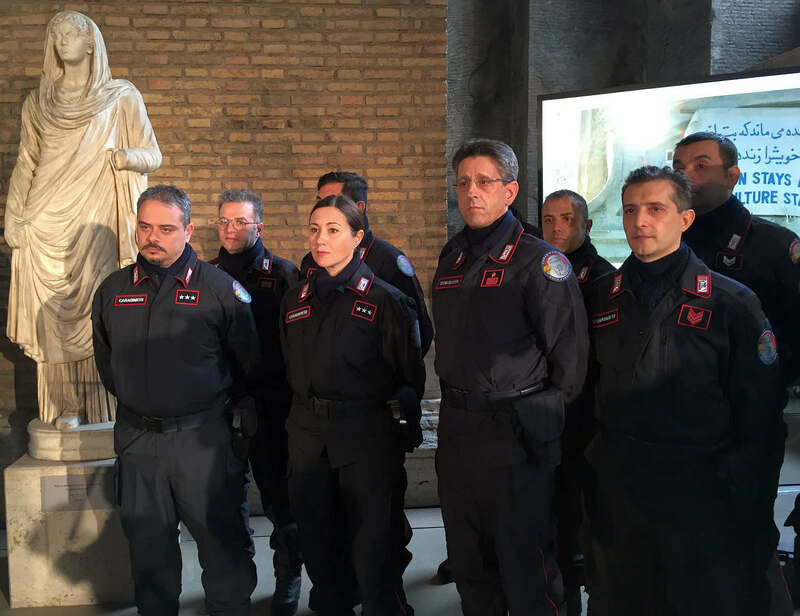 Since 1972 Italy's Comando Carabinieri Tutela Patrimonio Culturale has published a periodic bulletin that has proven to be a valuable tool towards raising awareness and working to combat illicit trafficking and the theft of works of art. 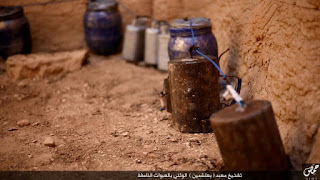 "We believe that what has been stolen must not be considered as lost forever. 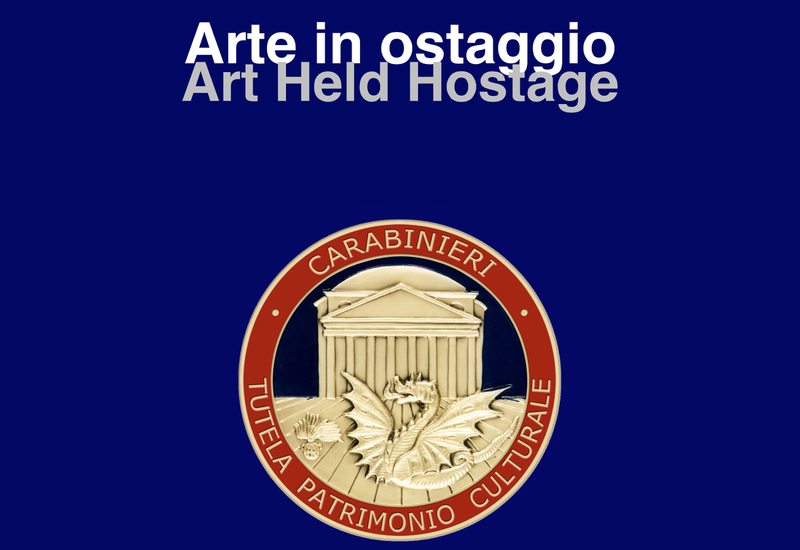 On the contrary, we regard it as held hostage by offenders who can and must be defeated by the Italian and the international police force, together with the Ministry of Cultural Heritage Activities and Tourism, the art dealers and all the citizens." 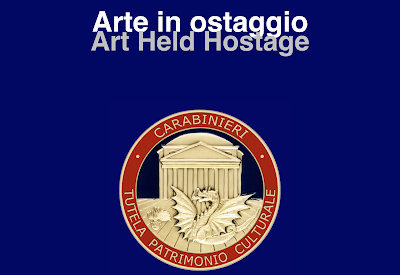 Under the general's guidance and oversight, this year's "Art Held Hostage", was coordinated and developed by Lt. Col. Roberto Colasanti, the Carabinieri TPC Chief of Staff working with Maj. Luigi Spadari, the Carabinieri TPC Data Processing Unit Commander. 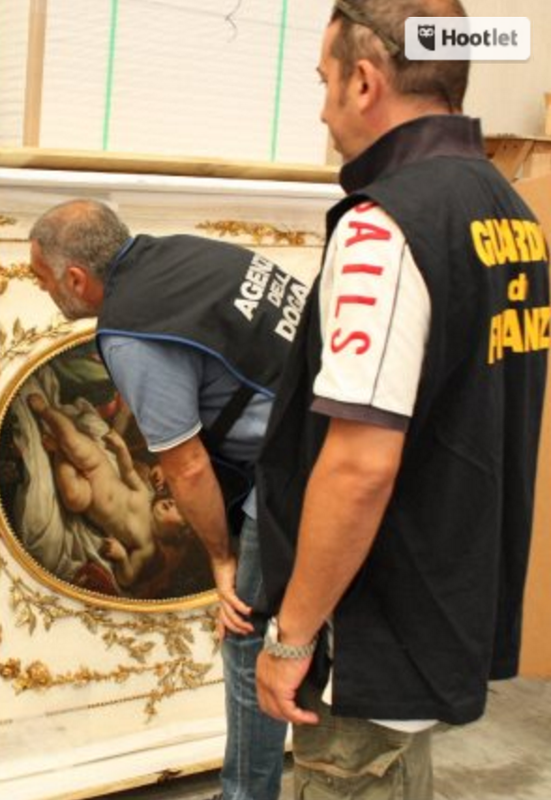 Targeted towards those who protect cultural heritage, academics working in the field and the art market itself, the Art Squad's bulletin includes descriptions and images of the main works of art stolen in Italy during the past year which have not yet been recovered. - The Carabinieri Command for the Protection of Cultural Heritage database reference number. and where possible, images of whatever quality is available in the objects documentation records. This year's bulletin highlights a total of 99 stolen works of art. It also lists an additional 40 objects that have been recovered during the last year from bulletins 6, 7, 10, 11, 12, 18, 21, 22, 23, 25, 35 and 37. Not a bad recovery rate and one that proves having good documentation increases the probability that a stolen work of art can be located and recovered. 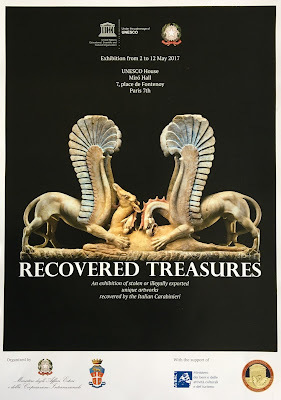 Several of the objects listed as recovered in today's bulletin, like the Castellani jewellry collection, stolen in a dramatic theft to order heist from the Museo Nazionale di Villa Giulia in Rome and the marble head of Julia Domna, wife of Septimius Severus stolen from Hadrian's Villa, and recovered in the Netherlands, have been covered on this blog. Ancient Roman sarcophagus worth $4 million returned to Italy in 2014 after being stolen in 1981. 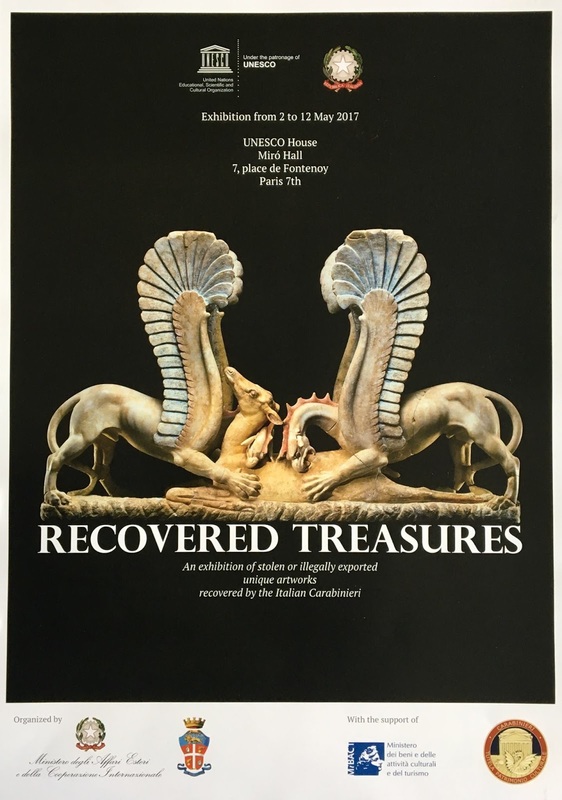 The latter, along with other important Carabinieri recoveries in the last 5 years, were recently on display during a special exhibition at UNESCO in Paris that highlighting the work of the Italian art crime squad ahead of the Fourth Meeting of States Parties to the 1970 Convention on the Illicit Trafficking of Cultural Property. 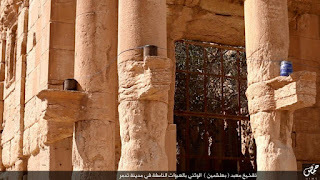 Lecture: Criminals without Borders - The many profiles of the (il)licit antiquities trade. 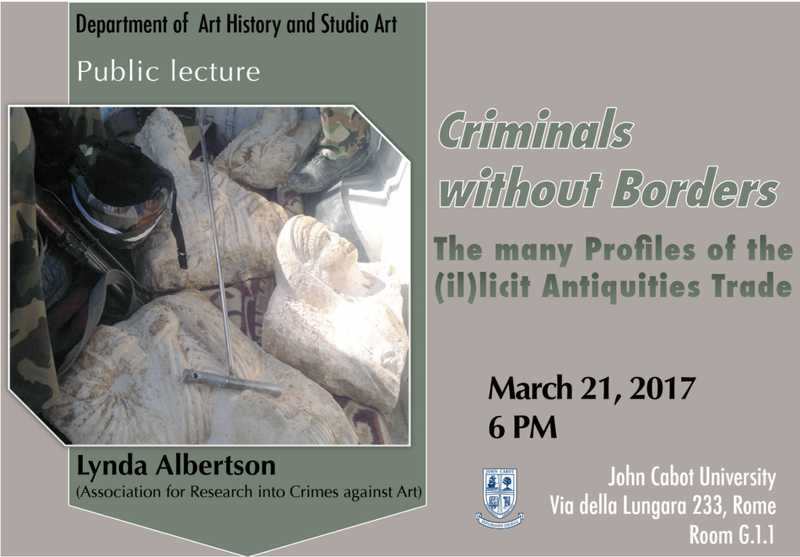 For those interested interested in the realm of illicit trafficking who will be in Rome, Italy April 21, 2017 Lynda Albertson, ARCA's Chief Executive Officer will be giving a talk on "Criminals without Borders." 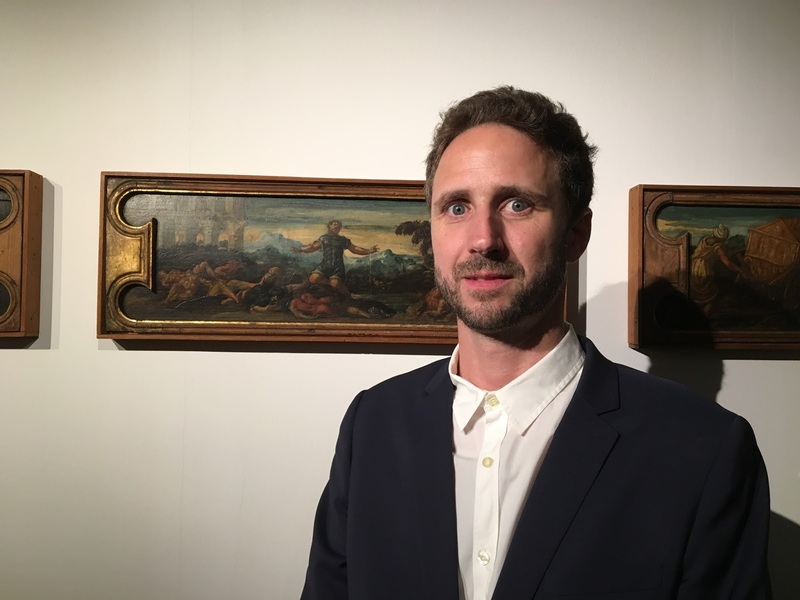 This one hour lecture, at 6:00 pm at John Cabot University will provide a brief overview of the profile of actors in the illicit art trade, giving examples of how those in the trade avoid detection and prosecution. This presentation will discuss the motives of trafficking in art and antiquities, highlighting cases from source and conflict countries emphasizing that the trade thrives on commercial opportunity i.e., a means of dealing in high value commodities that are often poorly protected, difficult to identify and easy to transport across national boundaries. Her presentation will examine specific case examples and will underscoring response mechanisms that work to proactively counter the illegal trade. 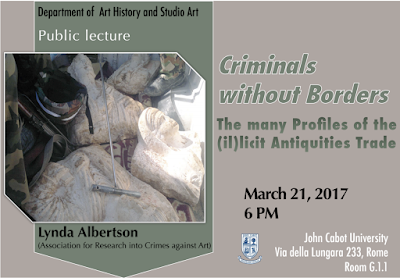 Lynda Albertson is the CEO of ARCA — The Association for Research into Crimes against Art, a nongovernmental organisation which works to promote research in the fields of art crime and cultural heritage protection. The Association seeks to identify emerging and under-examined trends related to the study of art crime and to develop strategies to advocate for the responsible stewardship of our collective artistic and archaeological heritage. Ms. Albertson, through her role at ARCA seeks to influence policy makers, public opinion and other key stakeholders so that public policies are developed and based on apolitical evidence, and which addresses art crime prevention and the identification of art crimes in heritage preservation initiatives. In furtherance of that, Ms. Albertson provides technical, scientific and regional expertise to national and international organizations such as UNESCO, CULTNET, ICOM, in furtherance of ARCA's heritage preservation mission. For the past five years, Lynda has focused part of her work on fighting the pillage of ancient sites and trafficking of artifacts, particularly in the Middle East and North Africa, conducting research on the illicit trade in antiquities in MENA countries. Ms. Albertson also oversees ARCA's inter NGO - Governmental engagement and capacity building in MENA countries in recognition of UN Security Council Resolution 2199, which among other provisions, bans all trade in looted antiquities from Iraq and Syria and encourages steps to ensure such items are returned to their homelands. 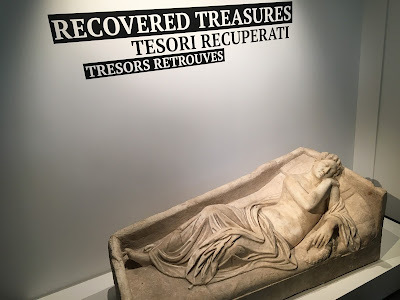 The Intergovernmental Committee for Promoting the Return of Cultural Property to its Countries of Origin or its Restitution in case of Illicit Appropriation (ICPRCP) promotes practical tools and communication to raise public awareness about trafficking in and return of stolen objects. With its work closely tied to the 1970 Convention on the Means of Prohibiting and Preventing the Illicit Import, Export and Transfer of Ownership of Cultural Property, the Committee met at UNESCO's Headquarters in Paris, on September 29-30, 2016 to discus the need for better prevention, increased cooperation and awareness raising of illicit trafficking in cultural property. Freeport concerns are a subject that ARCA has blogged about with regularity as has Professor David Gill on the blog Looting Matters as they have long been havens for high value artwork in general and illicit art work in particular. More recently Free ports have been springing up around the world with increasing regularity as more investors begin to store and trade physical assets at locations which provide taxation incentives. With their state of the art security, enormous potential for tax savings and less than transparent ownership record keeping which varies from country to country and freeport to freeport, these massive storage facilities may well continue to be a convenient and secure weigh station for traffickers to park hot goods until the world gets distracted elsewhere. 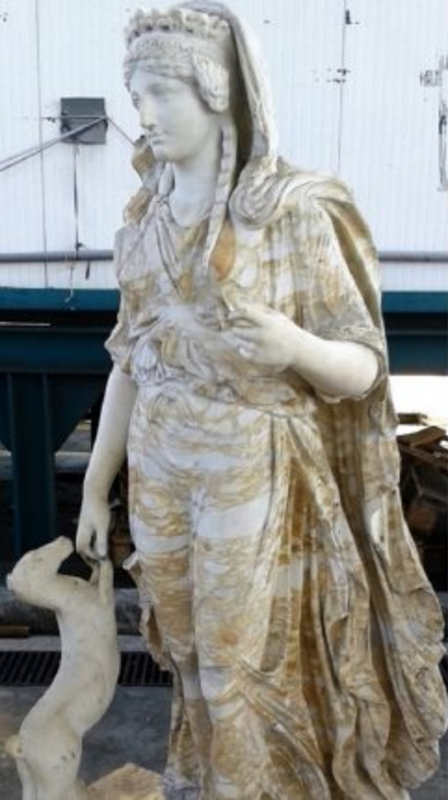 Three containers, searched by Italy's customs authorities have been seized by the Guardia di Finanza at the Port of La Spezia having been found to contain numerous smuggled works of art. The shipping crates, reported to be the property of a wealthy US businessman, are said to contain more than 100 objects, including several Roman era archaeological finds dating from the IV-III century BCE, 1 century CE Carrara marble statues, two large French-origin oil paintings dating back to the eighteenth century and various other antiquities and pieces of furniture. During the search, it was found that all the shipped items were imported without adequate proof of ownership or provenance. 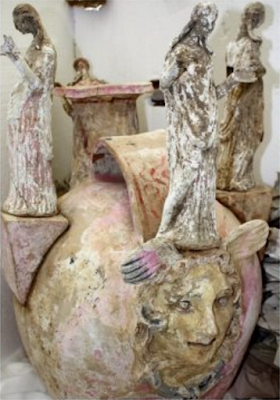 The objects, arriving from Miami, Florida, appear to have been smuggled into Italy in part, to furnish a home in the Florentine hills. 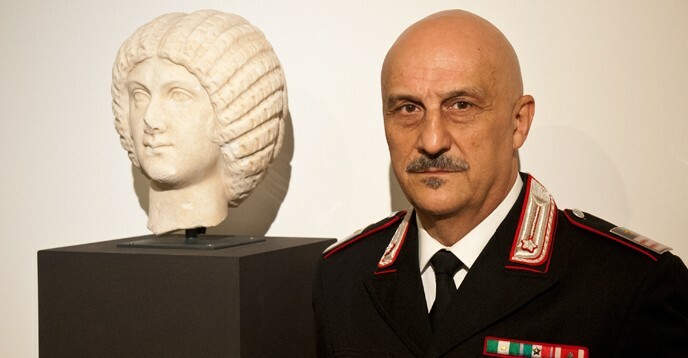 Local Italian authorities have filed a complaint against the US businessman for conduct punishable by the Italian Code of Cultural Heritage, the Italian Criminal Code and the Italian Customs Code. 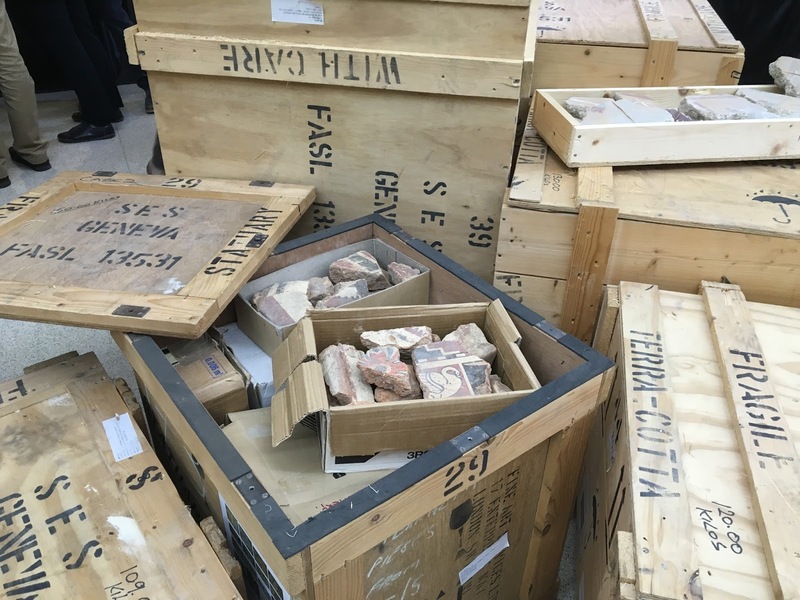 It has been estimates that the undeclared items, should proper provenance actually be established, would have an estimated import fee totalling approximately 23 thousand euros. With the deliberate attacks on historic monuments, archaeological sites and religious structures from mosques to monasteries now being enacted across Syria and Iraq, we should not forget the premeditated assaults on cultural and religious heritage in Bosnia-Herzegovina during the war of the 1990s, one of the most reported aspects of the conflict. Twenty years have passed since the end of the bitter 1992–1995 Bosnian War and the signing of the Dayton Peace Agreement. In The Hague two of the principal architects of the conflict, former Bosnian Serb leader Radovan Karadžić, and his military commander, Ratko Mladić, await judgement on war crimes charges at the International Criminal Tribunal for the former Yugoslavia (ICTY). Among those charges are the intentional destruction of cultural and religious heritage, a central element of the aggressive campaigns of ethnic cleansing that sought to create mono-ethnic / mono-religious territories within Bosnia-Herzegovina where once there had been diversity and coexistence. The destruction (usually far from the front-lines) was one of the defining features of a conflict that shocked the world. While the devastation provoked global condemnation, particularly attacks on iconic structures in cosmopolitan urban settings like the National Library (known also as the Vijećnica) in Sarajevo and Mostar’s Old Bridge (Stari Most), it was in towns and villages across wide swathes of ethnically-cleansed countryside where the destruction was worst, particularly of Bosnia’s Ottoman and Islamic heritage. Here some of the country’s most beautiful historic mosques, like the domed sixteenth-century Aladža Mosque in Foča and the the Ferhadija Mosque in Banja Luka were razed to the ground. 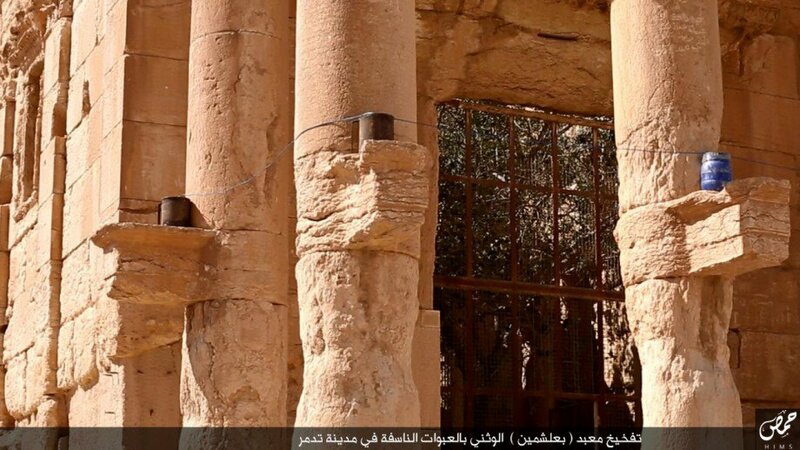 Orthodox and Catholic churches and monasteries were assaulted, too. The magnificent neo-Baroque Orthodox Cathedral of the Holy Trinity in Mostar was dynamited to rubble, the Franciscan Monastery at Plehan shelled, then blown up by a truck carrying two tons of explosives. 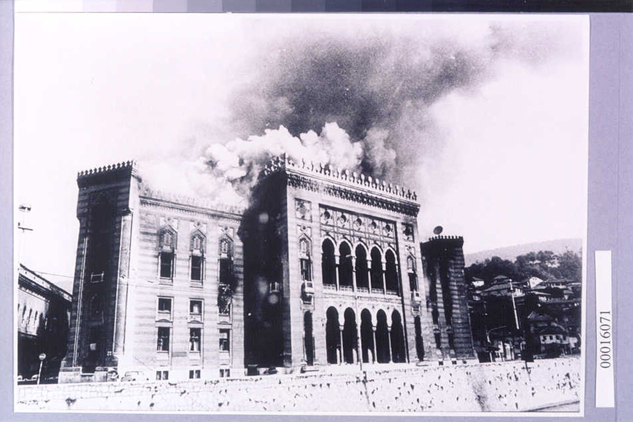 However, early hypotheses of an equivalent and mutual destruction of religious and cultural heritage by all three principal warring parties in the conflict (breakaway nationalist Bosnian Serbs and Bosnian Croats and the Bosnian government – usually labelled ‘Muslim’) have not been supported by later assessments. These identify Bosnian Serb forces and their allies (which controlled 70% of the territory of Bosnia-Herzegovina), and on a lesser scale Bosnian Croat forces, as the principal perpetrators of ethnic cleansing – and thus of the destruction of cultural and religious property. The Dayton Peace Agreement ended the war in Bosnia-Herzegovina. One overarching aim was to attempt to reverse the effects of ethnic cleansing and restore the country to its prewar diversity. To those drafting the treaty, addressing the devastation to Bosnia’s cultural heritage was considered so essential to the peace process that Annex 8 of the eleven annexes to the Dayton Agreement provided for the formation of a Commission to Preserve National Monuments – a unique feature in any peace agreement. 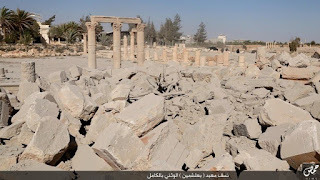 But the post-conflict restoration of important historic monuments, particularly of iconic sites, were to become settings for the often competing agendas of both international and domestic actors. Meanwhile, surviving refugees and displaced people returning to reconstruct their communities in the places from which they had been violently expelled worked to a different dynamic. Here post-conflict restoration became closely bound up with ‘restoring’ feelings of security, a psychological yet literal ‘rebuilding’ of communities, yet which also came to encompass ‘hard law’ issues as obstacles to the right to reconstruct were challenged through legal remedies. year after the Bosnian War began. There had been no fighting in Banja Luka. The case of post-conflict Bosnia shows how, regardless of the aims of the peace process and the framework of the Dayton Peace Agreement (and the reasons that lay behind the destruction of cultural and religious property), when it came to reconstruction, the international community focused its attention almost entirely on restoring iconic sites like the Old Bridge at Mostar, predictably linking ‘restoration’ and ‘reconciliation’. Meanwhile, while in another domain, with frequently no help from international actors, returning communities attempting to rebuild and restore focused rather on human rights and freedom of religion. 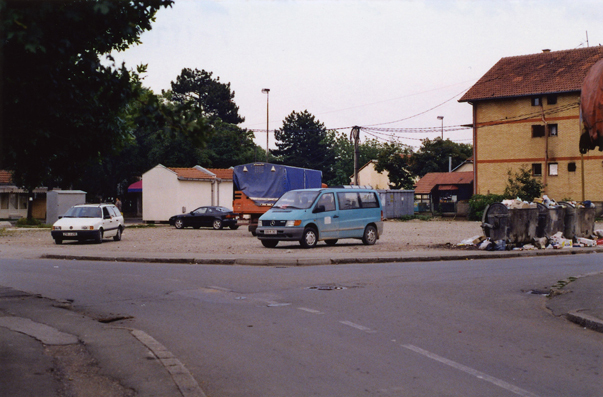 What happened in Bosnia was to become a seminal marker and a paradigm of intentional cultural property destruction, not only among heritage professionals, but across disciplines from the military to humanitarian aid organisations in the years following the end of the war as they struggled to find answers to the questions raised by the inability of the international community in all its varied embodiments to prevent the destruction and where its representatives were frequently left as passive onlookers. 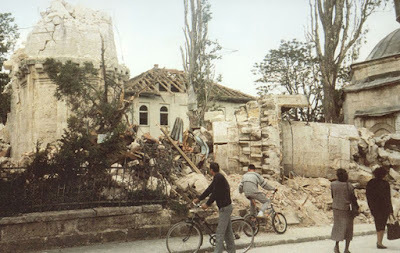 The destruction in Bosnia-Herzegovina was to have a major impact in many spheres of heritage protection, not least the drafting and adoption of the Second Protocol to The Hague Convention for the Protection of Cultural Property in the Event of Armed Conflict, and was the prompt for the formation of the Blue Shield movement. At the International Criminal Tribunal for the former Yugoslavia, the court’s prosecutions led to groundbreaking judgements that crystallized a more definitive recognition in international humanitarian law that intentional destruction of cultural property was not only a war crime in itself, but a manifestation of persecution and – crucially – that destruction of a people’s cultural heritage was an aspect of genocide. Yet despite all this, the literature on the destruction of cultural and religious property in Bosnia-Herzegovina and its worldwide impact has been remarkably slight. An exception is the glut of publications on Mostar and the reconstruction of the Old Bridge – itself symptomatic of the focus of the international community post-conflict restoration efforts. 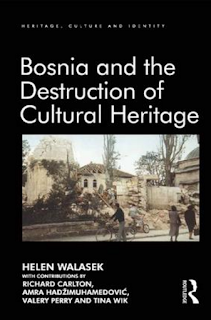 Bosnia and the Destruction of Cultural Heritage gives the first comprehensive overview and analysis of the destruction of the cultural heritage in Bosnia-Herzegovina during the 1992–1995 war. 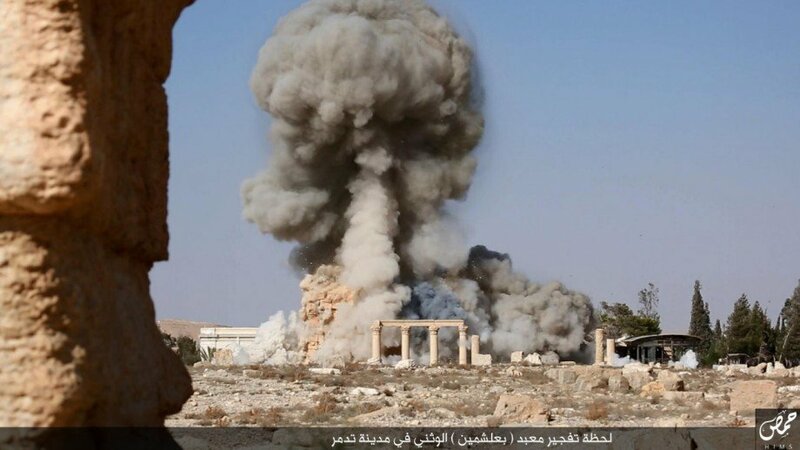 A case study and source book on the first significant destruction of European cultural heritage during conflict since World War Two, it seeks to assess questions which have moved to the foreground with the inclusion of cultural heritage preservation and protection as an important aspect of international post-conflict and development aid. 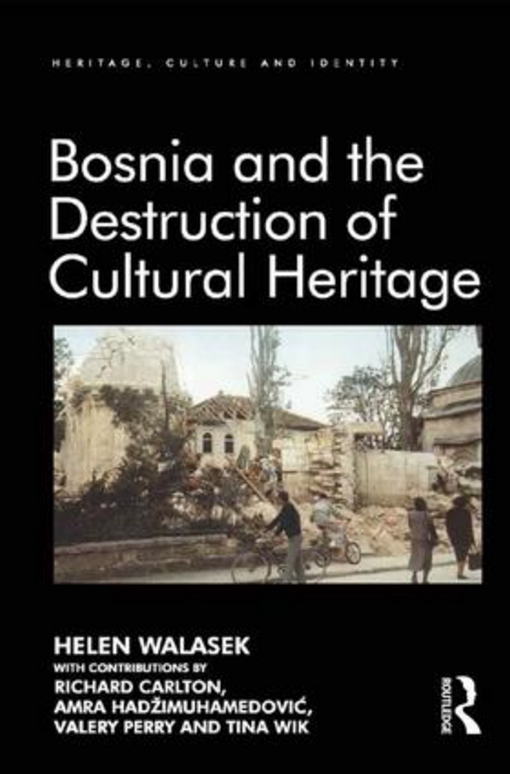 Examining responses to the destruction (including from bodies like UNESCO and the Council of Europe), the book discusses what intervention the international community took (if any) to protect Bosnia’s heritage during the war, as well as surveying the post-conflict scene. 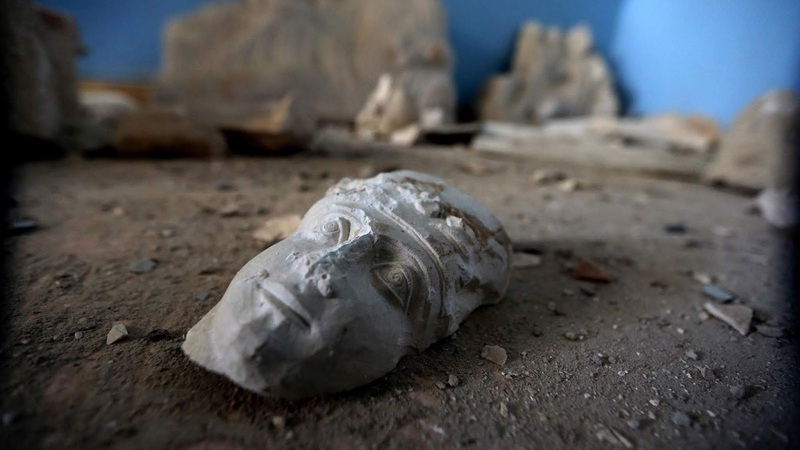 Assessing implementation of Annex 8 of the Dayton Peace Agreement and the use of other legal remedies, it looks also at the treatment of war crimes involving cultural property at the International Criminal Tribunal for the former Yugoslavia. 2.a The 16th century Aladža Mosque in Foča, one of the most important Ottoman monuments in South East Europe, pictured before its destruction in 1992. 1] Final report of the United Nations Commission of Experts, Annex IV The policy of ethnic cleansing. S/1994/674/Add.2 (Vol. I), 28 December 1994, Introduction; Sanitized [ ] Version of Ethnic Cleansing Paper, dated 5 January 1995. See also Ethnic Cleansing and Atrocities in Bosnia, Statement by CIA Deputy Director for Intelligence John Gannon, Joint SSCI SFRC Open Hearing, 9 August 1995, and numerous ICTY prosecutions www.icty.org/. While Bosnian government forces did commit grave breaches of the Geneva Conventions, these assessments found that they had no policy of ethnic cleansing and did not engage in such operations. La prima task force a protezione del patrimonio culturale del mondo, i Caschi Blu della Cultura con i Carabinieri Tpc, nati oggi firmando l'accordo con l'Unesco e presentati a Roma nel complesso delle Terme di Diocleziano. Firmata anche la nascita dell'International Training and Research Center of Economies of Culture and World Heritage, centro di formazione che sarà a Torino, dedicato al nuovo gruppo d'azione. Originally published in its entirety, with permission from Di Roma here. "Una nazione è viva quando è viva la sua cultura". Con queste parole scritte in inglese e in antico persiano si è dato il via alla presentazione della prima task force operativa a protezione del patrimonio culturale mondiale, i Caschi Blu della Cultura "Unite for heritage" che vede impegnati per primi al mondo i Carabinieri Tutela Patrimonio Culturale. La frase fu scritta per la prima volta nel 2002 su un pezzo di stoffa appeso all'ingresso del Museo Nazionale dell'Afghanistan a Kabul, struttura salvata da saccheggi e distruzione, avviata alla sua ristrutturazione e restauro delle opere d'arte lì custodite. Un simbolo chiaro come risposta inequivocabile e ferma, è la nascita di questo gruppo che vede i militari dell'Arma appartenenti al suo nucleo specializzato, insieme a esperti del settore, studiosi e professionisti, pronti a operare in tutto il globo. Ne dà notizia la stampa di tutto il mondo, tanti i giornalisti non solo italiani alla presentazione. Ne scrive l'organizzazione internazionale ARCA (Association for Research into Crimes against Art) in un suo articolo dettagliato. 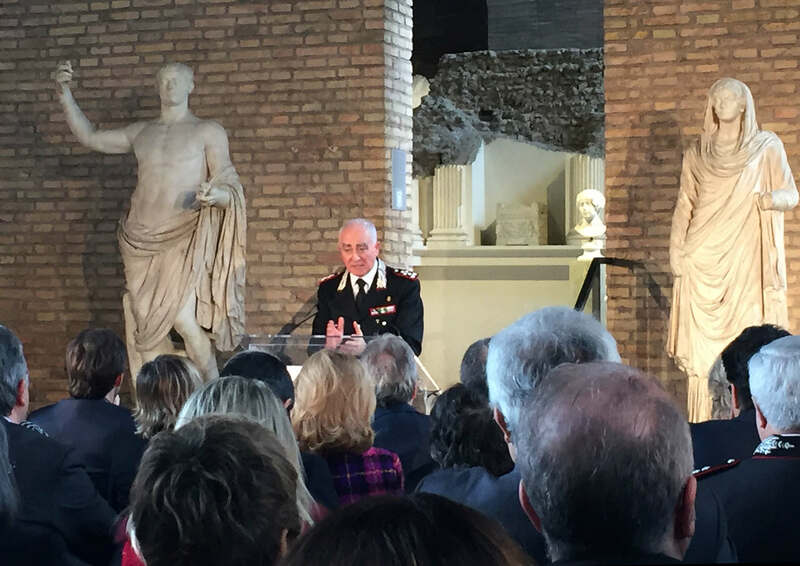 Una presentazione, quella avvenuta oggi nell'aula X delle Terme di Diocleziano – Museo Nazionale Romano, che ha visto la presenza di ben quattro titolari di dicasteri, del direttore generale dell'Unesco, del Comandante dell'Arma dei Carainieri, del sindaco di Torino: i ministri Dario Franceschini (Beni e attività culturali e del Turismo), Roberta Pinotti (Difesa), Stefania Giannini (Istruzione, Università e Ricerca), Paolo Gentiloni (Affari esteri e Cooperazione internazionale), la direttrice Unesco Irina Bokova, il generale Tullio Del Sette e il primo cittadino del capoluogo piemontese, Piero Fassino. 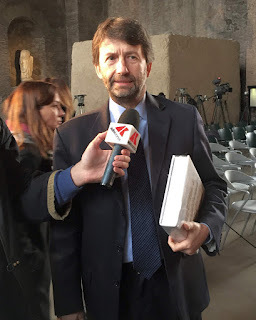 «Il patrimonio culturale è di tutti e tutti abbiamo il dovere di proteggerlo e difenderlo - ha detto il ministro Franceschini - La comunità internazionale protegga patrimonio culturale umanità. Siamo il primo Paese che mette a disposizione dell'Unesco una task force completamente dedicata alla difesa del patrimonio culturale mondiale e già operativa. Spero siano molti i paesi a seguire questa strada». Il tutto fa seguito all'accordo firmato a ottobre 2015 e con l'approvazione di una risoluzione all'Unesco presentata dall'Italia e firmata da altre 53 nazioni. «Il patrimonio del mondo non è più minacciato nel corso di un conflitto dalle azioni di guerra, come avveniva nella Seconda Guerra Mondiale - ha sottolineato Franceschini - Ora la distruzione viene filmata e usata come propaganda, a simbolo dell'eliminazione di una cultura diversa, per cancellarla. L'importanza dell'atto firmato oggi non è solo simbolica ma ben concreta». Il generale Tullio Del Sette ha ribadito la lunga storia operativa del nucleo Tutela Patrimonio Culturale del carabinieri, «nato 47 anni fa (ndR: 3 maggio 1969), primo reparto al mondo dedicato a questo tipo di attività operativa». 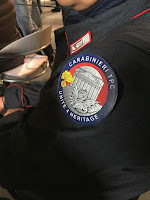 I carabinieri Tpc sono stati messi a disposizione anche di diverse nazioni che ne hanno avuto bisogno a seguito di situazioni di grandi crisi», momenti che hanno messo in pericolo il loro patrimonio culturale e tanto per fare un solo esempio numerico, questo Nucleo dell'Arma ha recuperato fino a oggi circa 750mila beni culturali fra opere e reperti. 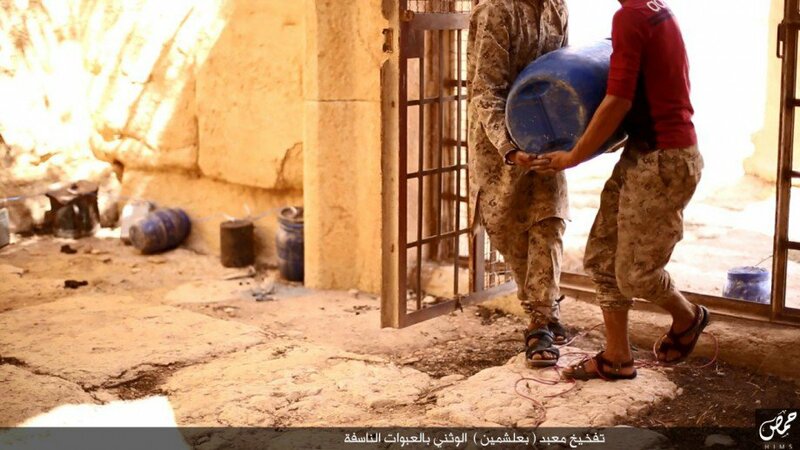 «Questa Task force contrasta la strategia del terrore seguendo un'azione tipicamente italiana che viene della strategia anti-terrorismo - ha sottolineato il ministro Gentiloni che riferendosi all'Isis ha continuato - Va contro quelle azioni che colpiscono luoghi-simbolo per eliminare la cultura di nazioni e, obiettivo ancora più insidioso, per cancellare la diversità e la pluralità che hanno caratterizzato e caratterizzano le civiltà e i popoli o la "pulizia culturale" dell'Isis in Medio Oriente, con le persecuzioni delle minoranze cristiane e yazide». L'Unite for heritage può contare su circa 30 carabinieri specializzati e altri 30 tra storici dell’arte, studiosi, restauratori dell’Istituto Centrale del Restauro e dell’Opificio delle Pietre Dure di Firenze. Presto anche anche professori universitari che vogliono partecipare all'azione del gruppo. Da qui la scuola di formazione a Torino, anche questa nata oggi con la sigla del sindaco della città, Fassino. Il capoluogo piemontese ospita già lo Staff College delle Nazioni Unite. Il nuovo centro di formazione dedicato ai Caschi Blu della Cultura si chiamerà Itrech (International Training and Research Center of Economies of Culture and World Heritage), fondato anche dall’Università degli Studi, il Politecnico, l’ILO/OIT, il Consorzio Venaria Reale e il Centro Studi Santagata che è storico collaboratore dell'Unesco. L’Itrech avrà come base il Campus delle Nazioni Unite che oggi dà sede anche al Centro Internazionale di Formazione dell’Organizzazione Internazionale del Lavoro, allo Staff College e all’Unicri, agenzia Onu per la lotta alla criminalità (United Nations Interregional Crime and Justice Research Institute). 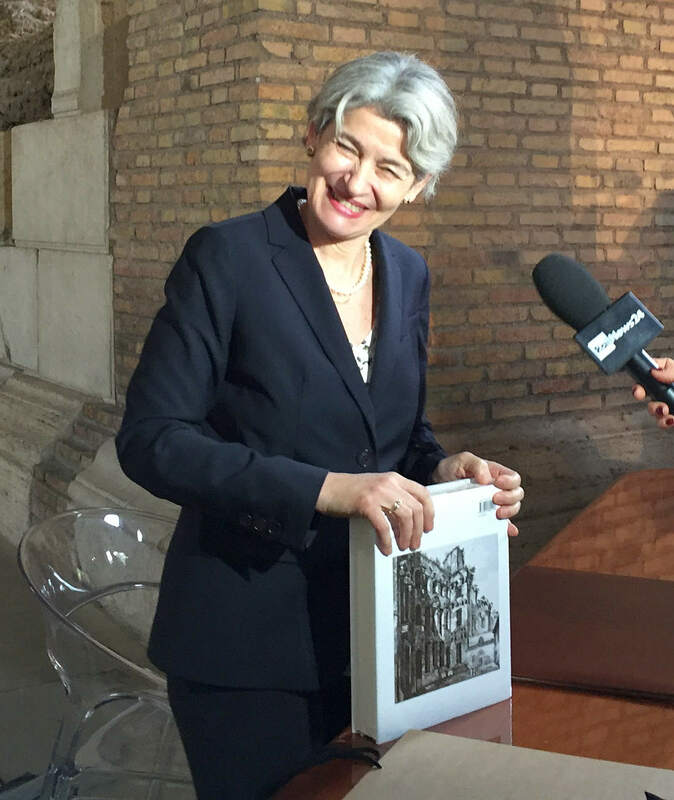 «Siamo testimoni oggi di un dramma a livello mondiale – ha detto Irina Bokova, direttore generale dell'Unesco nonché possibile nuovo segretario generale Onu – la distruzione del patrimonio culturale, il dramma della pulizia culturale delle minoranze etniche e di ciò che le caratterizza. L'entusiasmo nei confronti dell'Italia è grande perché questo Paese si è reso protagonista di questa nuova iniziativa che contrasterà la depredazione e la perdita del patrimonio mondiale, un'Italia che ha già 54 siti patrimonio dell'umanità, grandi ricercatori, studiosi e i carabinieri che tanto ci assistono con la loro opera». «Avverto oggi un grande senso di responsabilità per l'apertura di un nuovo capitolo per la protezione del patrimonio culturale - ha concluso la Bokova - Stiamo lanciando oggi un grande messaggio. Ecco le nostre risposte contro l'estremismo, risposte che devono essere la ricostruzione di un mausoleo, il restauro degli scritti della sapienza islamica, dalla matematica all'astronomia, la ricostruzione del ponte di Mostar». 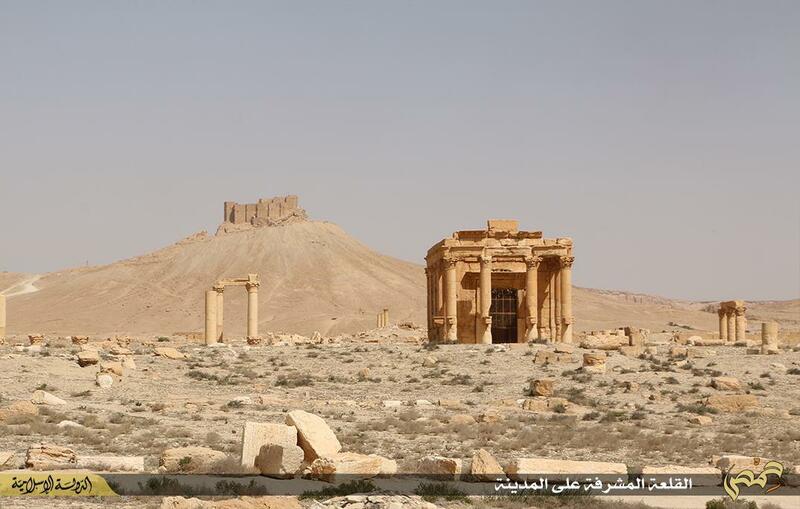 Come specificato anche dal ministero, l'Unite For Heritage non agirà sui fronti di guerra perché la gestione dei conflitti non rientra nel campo operativo del gruppo. 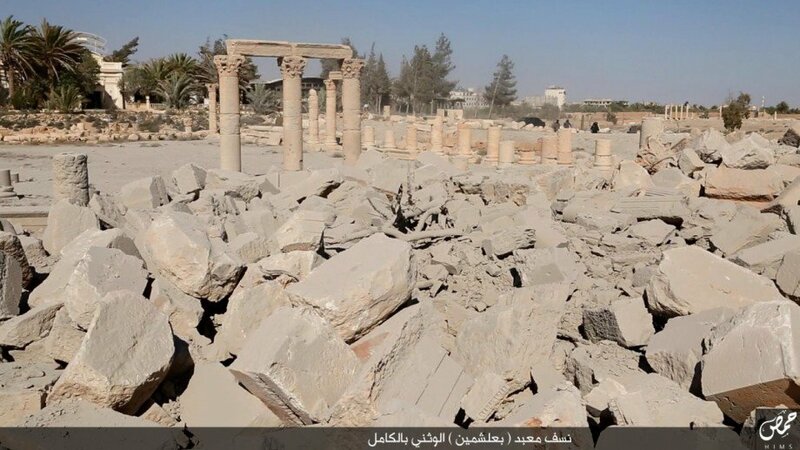 I Caschi Blu della cultura non saranno schierati, per esempio, a difesa dell'antica città di Palmira difendendola dall’Isis ma, su specifica richiesta dell’Onu, interverranno in momenti di gravi crisi civili, come durante un terremoto, ad esempio quello del Nepal, per porre riparo a emergenze legate al Patrimonio, oppure verificheranno i danni a opere e siti archeologici dopo un conflitto e dopo il ritiro delle truppe coinvolte. Potranno predisporre il trasferimento in luoghi di sicurezza di opere che potrebbero essere in pericolo e, naturalmente, contrastare i depredatori e trafficanti di reperti utilizzando ogni strumento, compreso il vastissimo database dei Carabinieri TPC che sta alla base di un vasto programma Interpol per la protezione del patrimonio culturale.